Lately, we have had an influx of homegrown tomatoes at our house. We can't get enough and yet there always seems to be more piling up on our kitchen countertops. We can't eat them fast enough, and trust me, we eat them pretty darn fast! 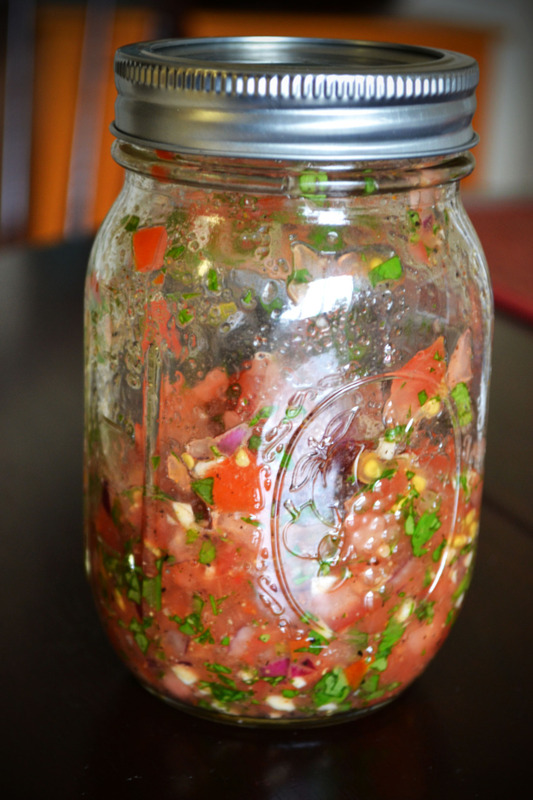 So, in order to use up those delicious tomatoes I'm posting a super easy, super hipster (cause you know, it's in a Mason Jar) salsa recipe from Superfluous Plethora. Try it out. Don't let those home growns go to waste. Fresh Salsa - approx. 70 calories for 6 oz! Combine these ingredients together and wa-la, salsa in a jar! !